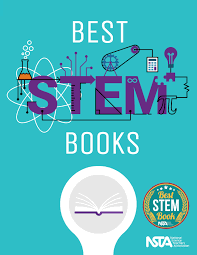 The list provides recommendations to educators, librarians, parents, and guardians for the best trade books with STEM content (Science, Technology, Engineering, and Mathematics). The Best STEM Books are curated by a team of reviewers appointed by NSTA, ITEEA, SEPA, and ASEE. Titles are evaluated for their integration of STEM disciplines, content integration, and innovation, among other criteria. Click here for the 2017 preview list! A fully annotated list will be available in January 2017.